Lawn aeration deepens your lawn’s root system for greater resistance to disease, insects, drought and heat stress, improves drainage and improves air, fertilizer, water movement. It can also help reduce water usage at your Omaha residence. For best results, overseeding is performed in conjunction with core aeration. H& H Lawns is Omaha’s premier fall lawn aeration company. 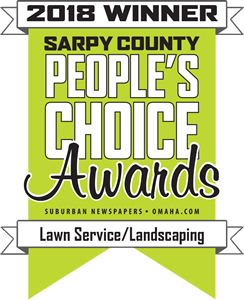 Fall lawn aeration is one of the best ways to enhance your Omaha home’s lawn giving it a thick, lush lawn! When it comes to preparing your yard for winter, aeration is key. Lawn aeration deepens your lawn’s root system allowing for greater resistance to disease, insects, drought and heat stress, improving drainage and air, fertilizer, and water movement. Aeration can also help reduce water usage at your Omaha residency.